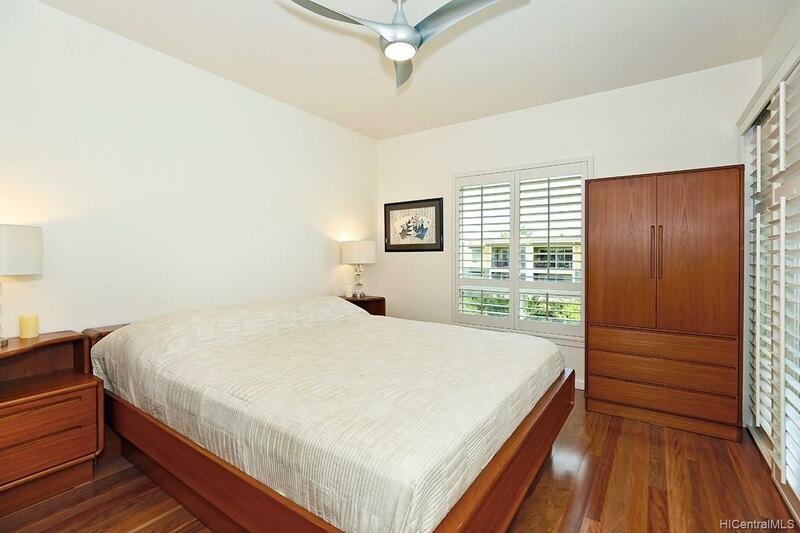 Perfection in Kailua! 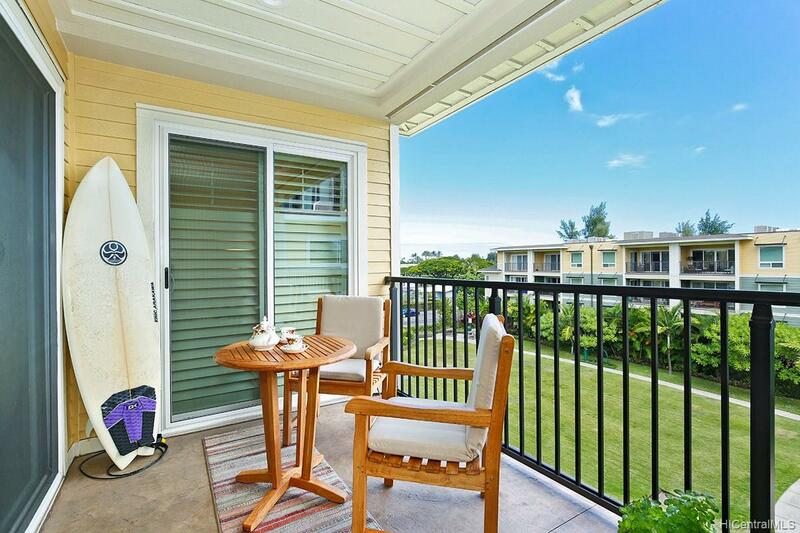 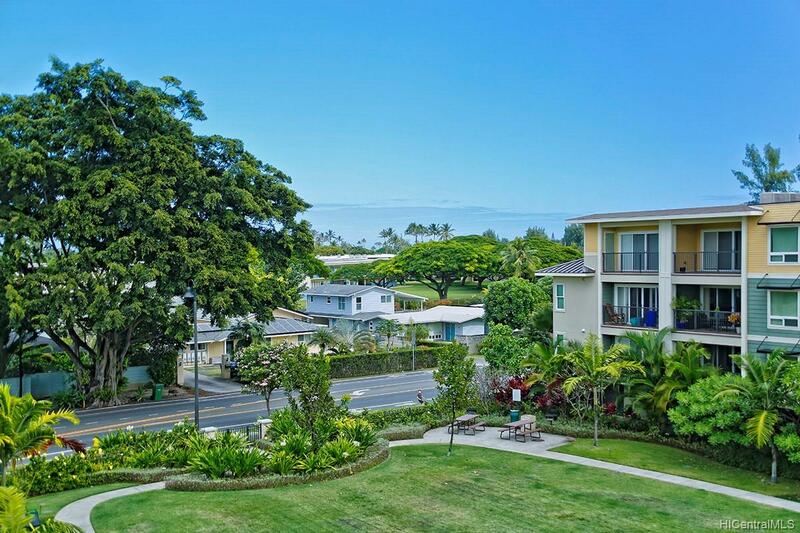 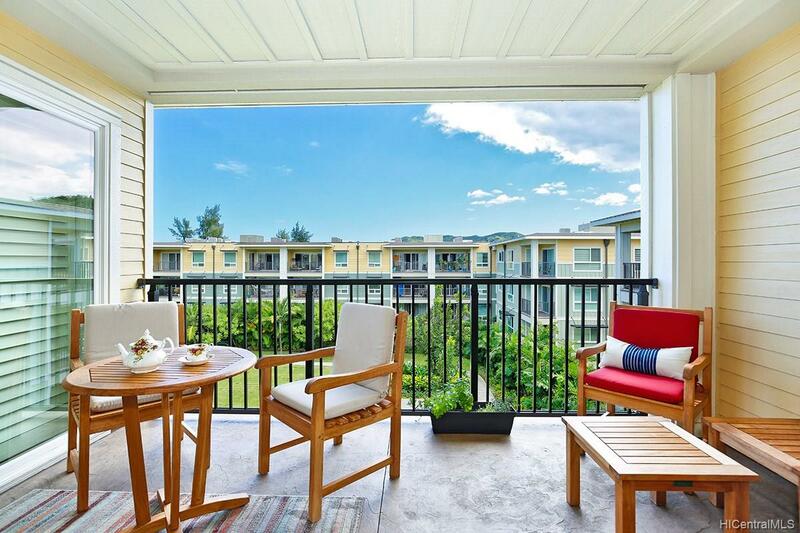 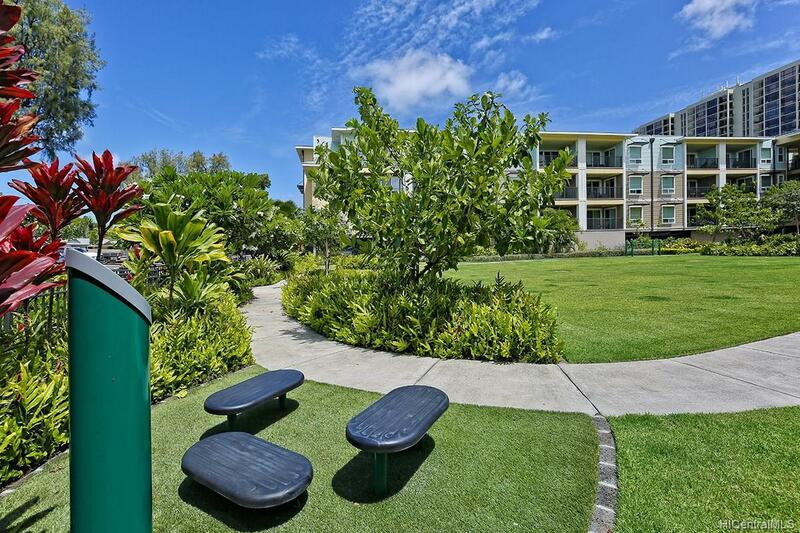 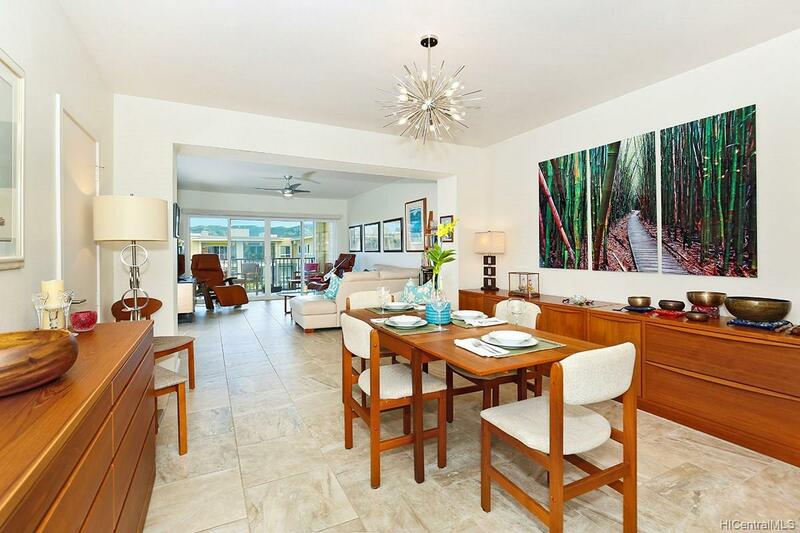 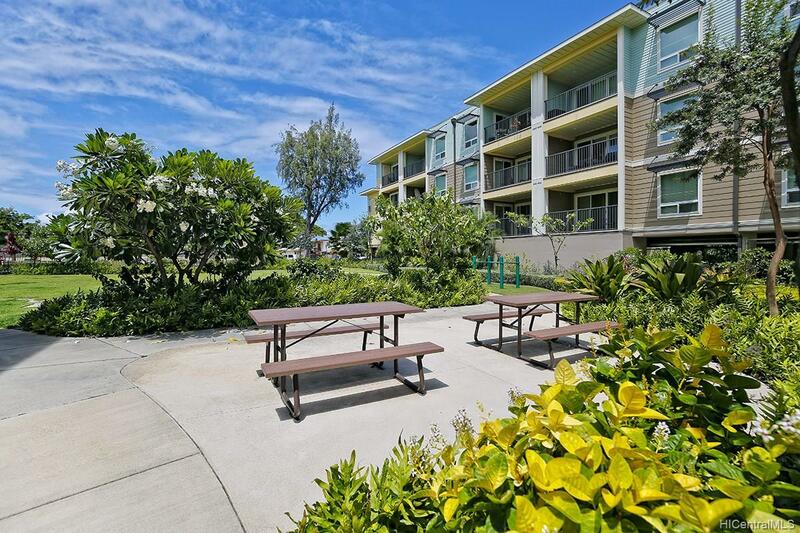 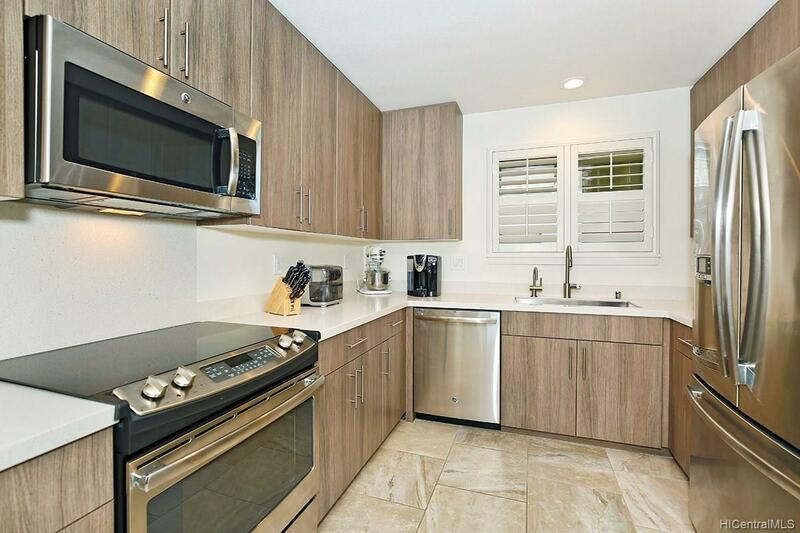 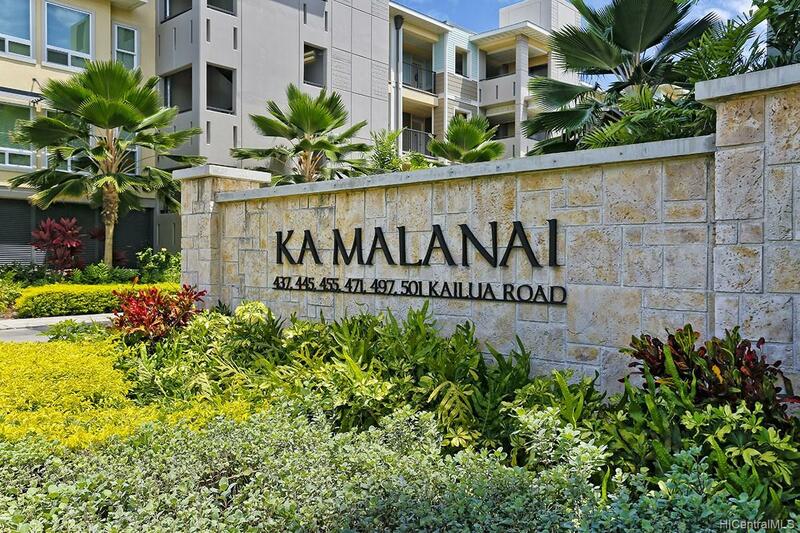 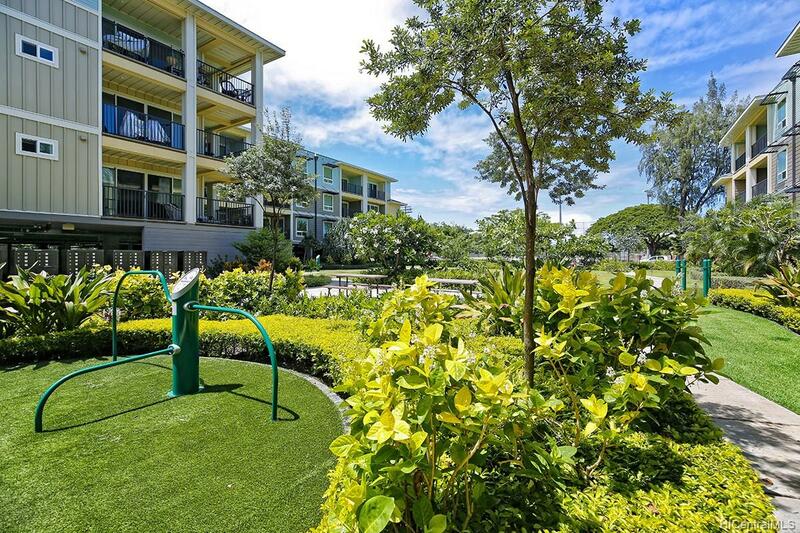 This highly-upgraded, quiet, top floor 2/2/2 has wide open views above the green lawns and gardens of Kailua’s newest condominium complex. 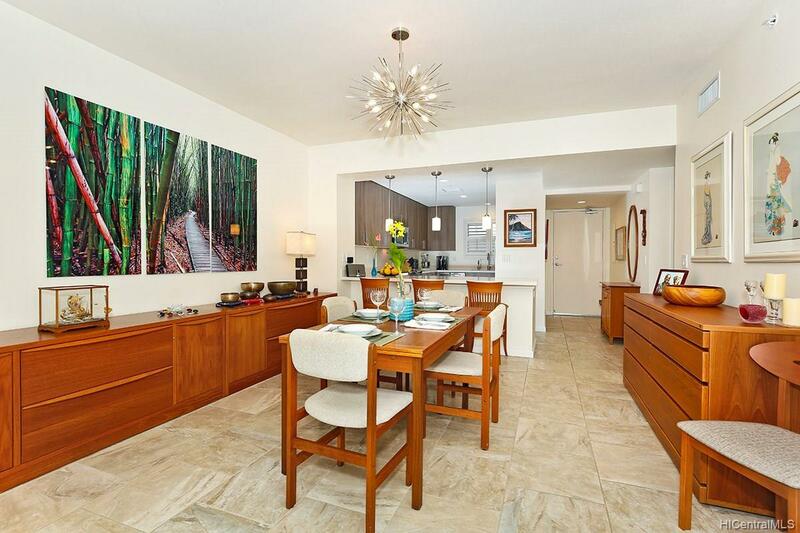 The huge living and dining room features large-tile floors, and the bedrooms have recently been further upgraded with engineered hardwood (fully-approved by the association, with sound barrier). 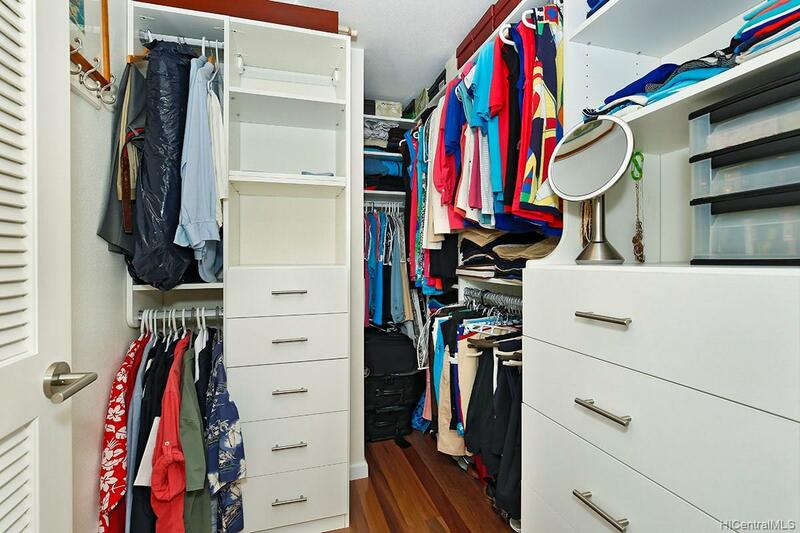 A wonderful closet system, mouldings, plantation shutters, filtered and instant hot water, and additional electrical also enhance this luxurious home. 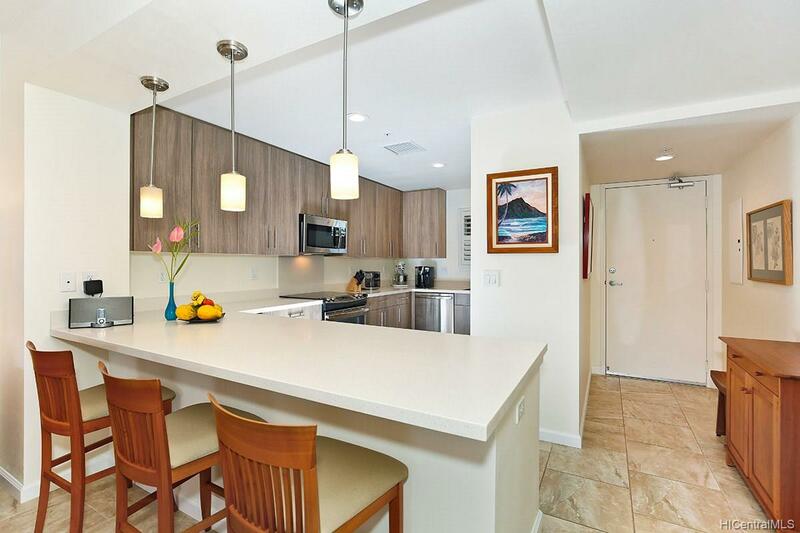 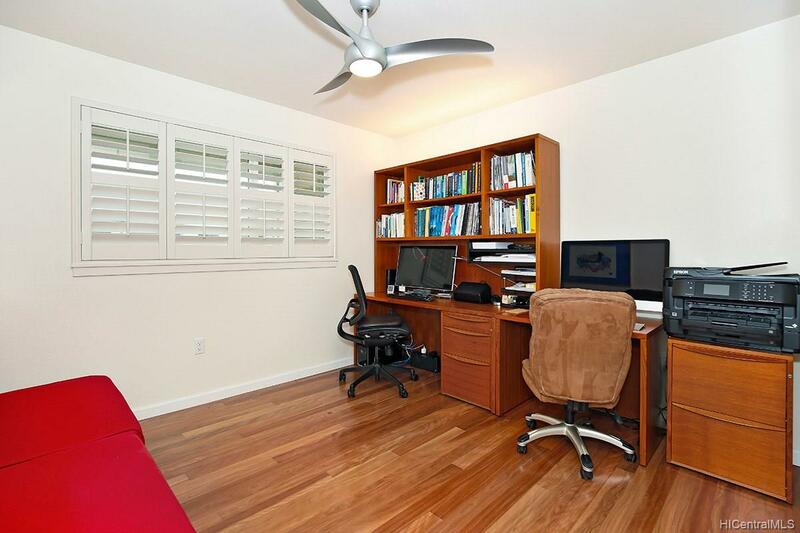 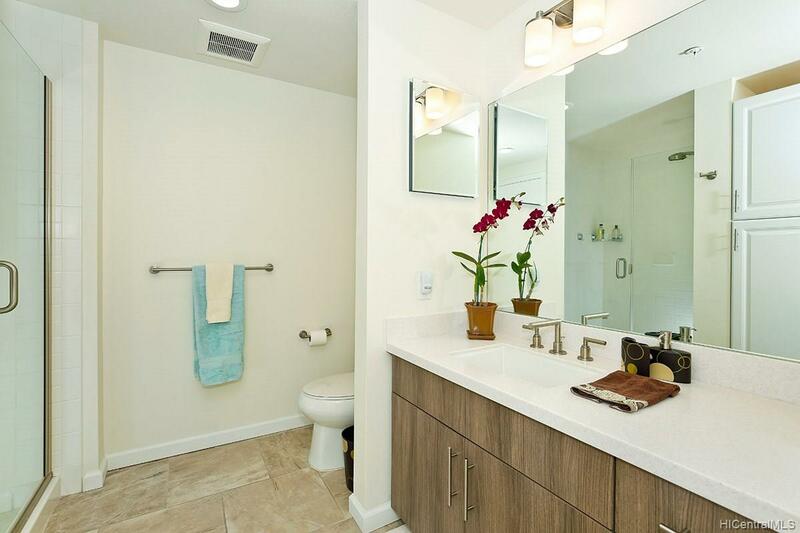 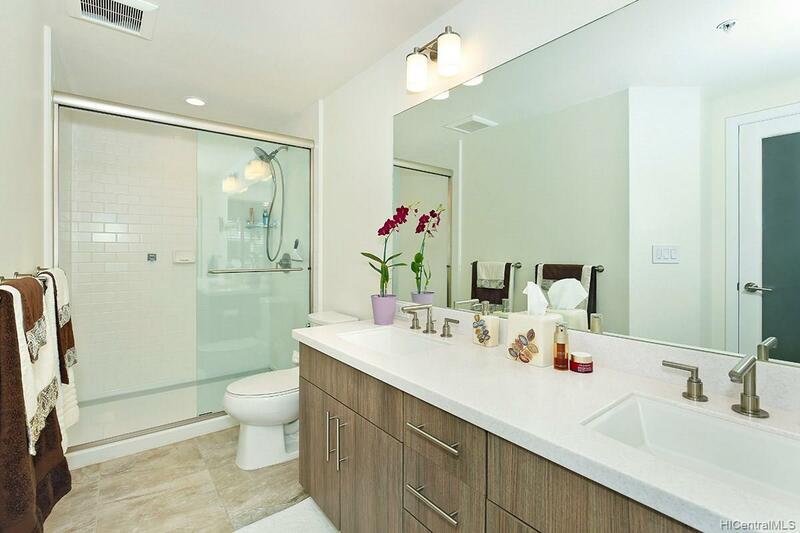 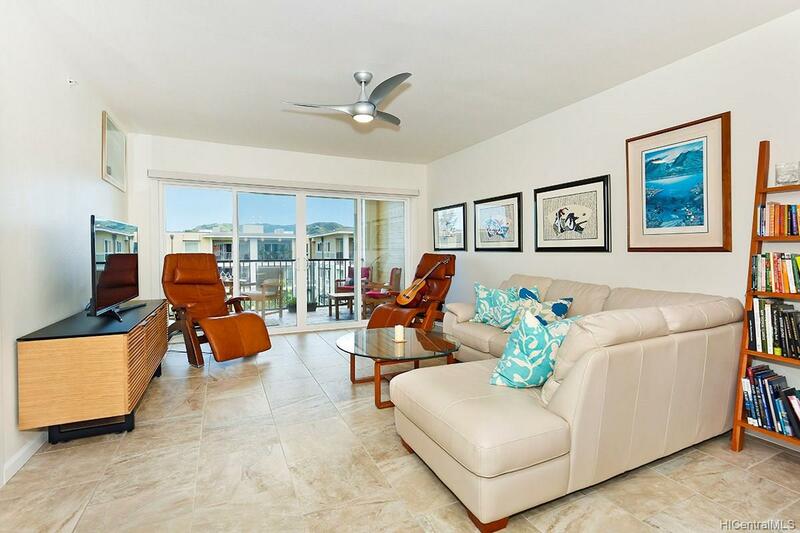 Come home and park in one of your two covered stalls, then take a brief walk to Kailua’s shops and restaurants. 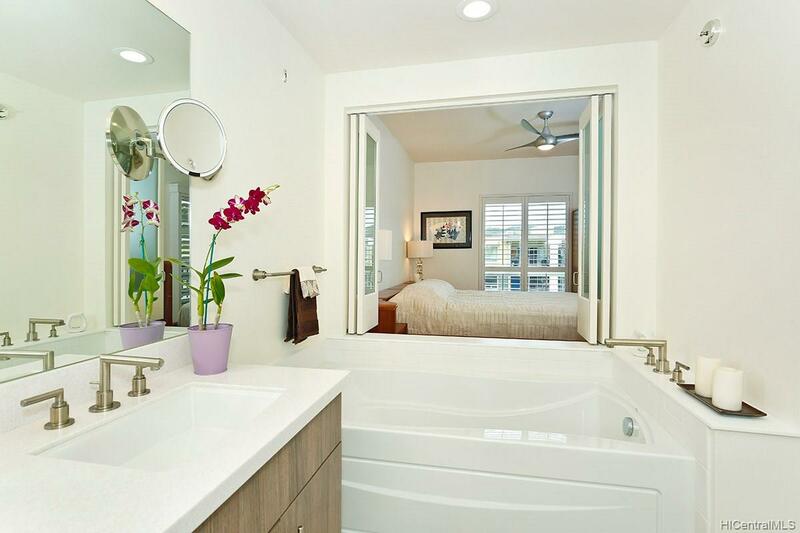 For relaxation, step out to your spacious, sheltered lanai or soak in your luxurious tub that can be opened to the master suite and view.